Actor Robert De Niro speaks onstage during the Nobu Hotel Miami Beach launch VIP cocktail at Nobu Next Door on Nov. 7, 2016 in New York City. The Ivy League school announced Friday the Oscar-winning actor is being celebrated "for the intensity he brings to each performance." 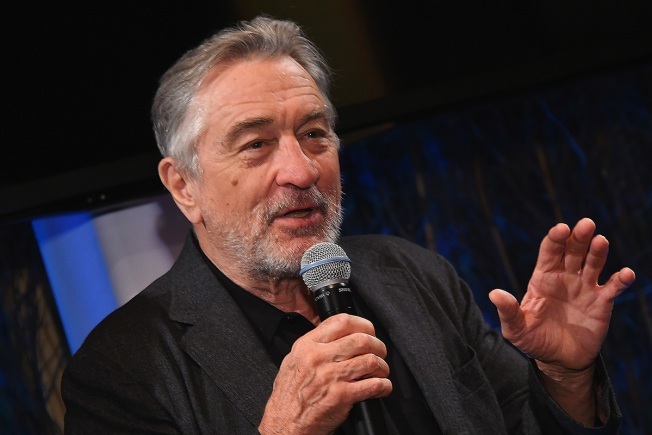 De Niro will receive a doctor of fine arts degree during the school's May 28 ceremonies. De Niro has been nominated seven times for an Academy Award, and won twice in 1975 for "The Godfather: Part II" and in 1981 for "Raging Bull." Others to receive honorary degrees are rapper and actor Daveed Diggs; teacher Donald Hood; businesswoman Indra Nooyi; business executive Richard Parsons; and poet Rosmarie Waldrop. Brown does not have the traditional keynote speaker at commencement exercises, instead reserving that honor for members of the graduating class.